Diamond Details: Baguette cut and round brilliant cut white diamonds of F color, VS2 clarity, excellent cut and brilliance weighing 6.19 carats total. 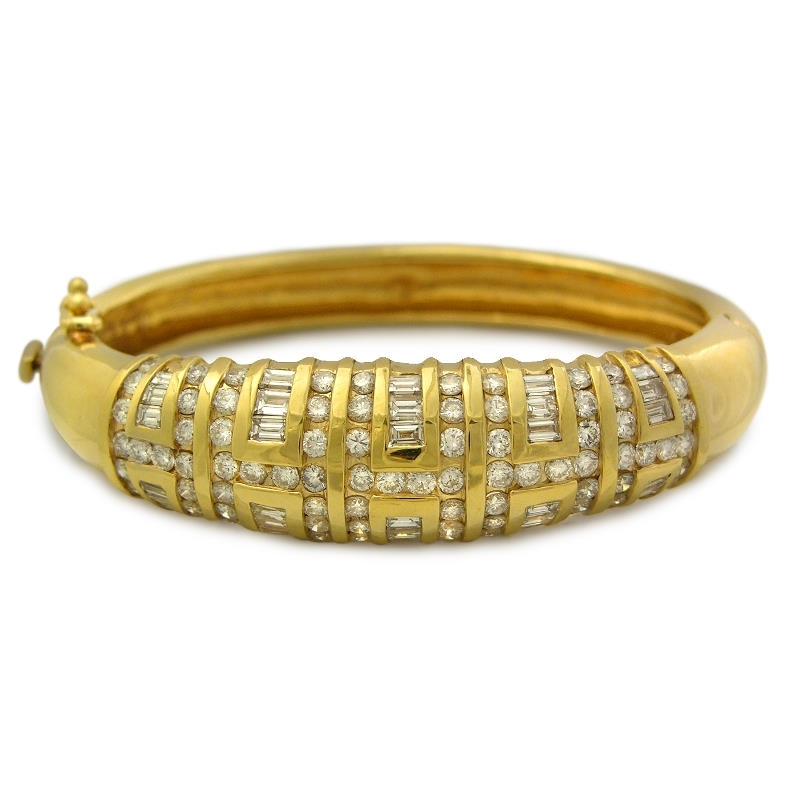 Bangle Details: 18k yellow gold. Measurements: 16mm at the widest point. 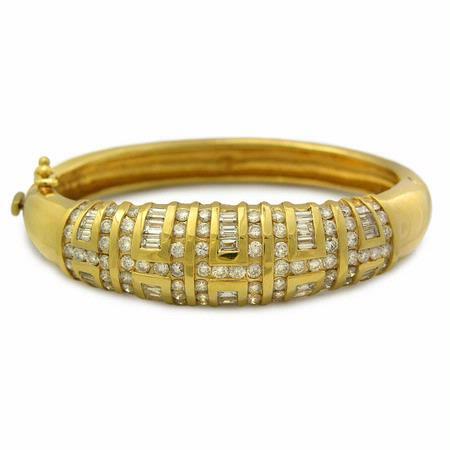 This enchanting, Italian designed, 18k yellow gold bangle bracelet sparkles with baguette cut and round brilliant cut white diamonds of F color, VS2 clarity, and excellent cut and brilliance, weighing 6.19 carats total. An exquisite work of art for your adornment. This diamond bracelet is masterfully handcrafted to measure 16mm at the widest point.